There are white lies, and then there's mortgage fraud. Yes, sometimes it can be hard to tell the difference, but it's essential for home buyers to understand exactly where the line is drawn, because the consequences can be dire if you cross it. So what is mortgage fraud? Mortgage fraud is deception about your financial circumstances or how you're going to use the property that you purchase. If fraud is detected at any time during the mortgage process, your loan will be declined and you will be out any funds you've already paid, such as the appraisal fee or your earnest money deposit, says Casey Fleming, mortgage adviser at C2 Financial Corp. and author of "The Loan Guide: How to Get the Best Possible Mortgage." And even if your loan closes, that doesn’t mean you’ve gotten away with any deception. If it's caught later, your lender is likely to call the loan, meaning the entire amount would be immediately due, forcing you to try to refinance or sell the home. 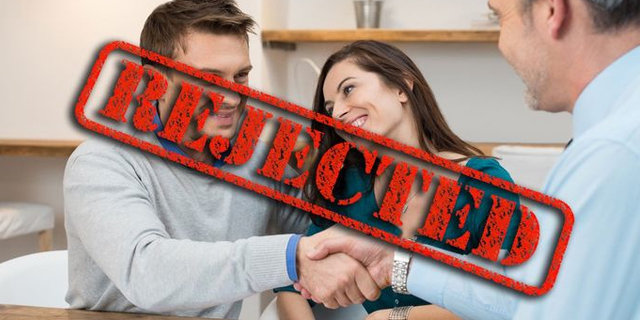 Here are the three main types of mortgage fraud most likely to trip up home buyers. 1. Purchasing an investment property, but claiming it will be your personal residence. There’s a reason people are tempted to do this: cold, hard cash. “The cost premium on an investment property is typically 2.5% of the loan amount in up-front fees, or 0.625% to 1% higher in interest rates,” says Fleming. While those savings are tempting, it’s relatively easy to get caught. Lenders will look closer if the property is multiple units, such as a duplex; considerably smaller or less expensive than your current residence; or located far from where you work. Of course, many people downsize or telecommute, but these factors are likely to raise a red flag. 2. Claiming your home will be a vacation home when you intend to rent it out, or that it will be a primary residence when it's going to be a second home. Here again, location would raise a red flag, though for the opposite reason: You’re unlikely to buy a second home where you live. If you’re buying in a beach or mountain town, or another obvious resort location that screams “second home,” you’ll have to cite evidence that you plan to live there as your primary residence. And before you’re tempted to say, “Yeah, I’m living in Hawaii, want to make something of it?,” know that many mortgage lenders will make something of it. One tool they are turning to is the LexisNexis Verification of Occupancy, which uses public and proprietary records to analyze 16 different components of occupancy evidence to try to root out the fibbers. Don’t be one of them. A lender decides how much home you can afford based on your monthly debt-to-income ratio—that is, the total of all your monthly debts, divided by your gross monthly income. So if you aren’t giving your lender the straight scoop on your debts, it's basing its assessment on false numbers. And don’t even contemplate trying to hide what you owe. There are ways of spotting debt that doesn’t show up on your credit report, Fleming warns. For example, most debts require regular monthly payments, which is one reason why your lender is so eager to paw through at least two months of bank statements. “If they show identical payments going out to someone two months in a row, an underwriter is likely to ask what it’s for, and potentially flag it as debt,” says Fleming. There are other debts that might not be reported to the credit bureaus, yet still show up on a public record. For example, an IRS repayment schedule for unpaid taxes would not be a “lien” per se that would be reported to the credit agency if you are making your payments on time, but it would still be evident in a records search. “The bottom line is that a debt other than to your Uncle Bob that you either don't make payments on or pay in cash, we'll probably find it,” says Fleming. We get it: Amassing a down payment can be hard. That’s why it might make sense to borrow money from a relative—especially one who doesn’t ask for interest. However, it still counts as a debt if you are expected to pay it back. Lenders need to see a complete financial picture before they commit to making you a loan; that includes all the debts you owe, because they affect the funds you have available to make that mortgage payment each month. Although a lender won’t accept your down payment if it includes a debt you have to pay back, the lender is almost always cool if it's a gift. So cross your fingers that Mom, Dad, or Uncle Bob are in a giving mood and make sure you have a letter from them specifying they don’t expect the funds to be repaid. “There truly are loan programs for almost every person and every circumstance out there,” Fleming says. “You may have to pay a few dollars more each month than you otherwise would, but mortgage fraud is not worth the risk."